Code Three Fire and Safety is a family-owned and -operated fire protection company that has served commercial, industrial, and residential clients in Vallejo, Pinole, and nearby locations for over two decades. We are trusted by thousands of property owners across the North Bay and East Bay to install and maintain their fire prevention systems because we have some of the most experienced, knowledgeable, and highly skilled technicians around. Our technicians each have between 15 and 30 years of industry experience, stay up to date with all of the latest fire code regulations, and are experts in the service and maintenance of all types of fire extinguishers, fire sprinkler systems, and restaurant fire suppression systems. When you call to request any of these fire protection services in Vallejo, Pinole, or any nearby city, you can trust that we will arrive in a timely manner with everything we need to get the job done. We have a large local inventory of parts and chemicals and keep our service vehicles well stocked. All services are in complete compliance with current local, state, and federal fire code regulations and designed to keep our Vallejo, Pinole, and nearby area clients up to date with their requirements as well. We maintain detailed testing and inspection records for all of our customers and remind them of when they are due for inspections and maintenance. Our technicians stay with their assigned accounts year after year, so they're able recall the exact locations of each client's fire extinguishers and other fire protection equipment. As a result, we're extremely successful at helping to keep our clients in compliance. Call Code Three Fire and Safety today. We're available Monday through Friday, from 8am to 5pm. We also provide 24-hour emergency response to recharge fire sprinkler and fire suppressions systems throughout Vallejo, Pinole, and surrounding cities so that businesses can reopen as quickly as possible. Our prices are very competitive, and we charge our maintenance services at all-inclusive, affordable flat rates. Code Three Fire and Safety is licensed by the State Fire Marshal and holds an active C-16 Fire Protection Contractor license. We're also members of the National Fire Protection Association, California State Firefighters' Association, and California Fire Chiefs Association - Northern Division. Code Three Fire and Safety maintains a large inventory of brand name fire extinguishers to meet the needs of residential, municipal, commercial, and industrial customers throughout Vallejo, Pinole, and nearby areas. Over the last 24 years, we've helped our clients get the fire extinguishers they need to protect their homes, cars, retail stores, offices, restaurants, warehouses, medical facilities, refineries, apartment complexes, and more. We stock a wide range of fire extinguisher sizes--up to 30 pounds for portable fire extinguishers and up to 150 pounds for wheeled fire extinguishers)--and all types of chemicals, including ABC (multipurpose), BC, K Class, Purple K, Type D, Plus 50C, Halon 1211, water, and CO2. We are certified distributors for all of the most trusted brands, including Amerex, Pyro-Chem, and Ansul. For large orders, we can provide on-site consultations to help create a comprehensive fire protection plan, and we'll place special orders for anything we don't have in stock. Call or visit us today. If your fire sprinkler or fire suppression system has recently been discharged, call Code Three Fire and Safety to have them re-engaged. We're available 24 hours a day, 7 days a week to provide emergency fire protection services in Pinole, Vallejo, and surrounding locations. We can be on site within one to two hours with everything we need to recharge your system. Once your system is recharged and reset, you'll be able to re-open your commercial kitchen, restaurant, or other facility without having to go through the hassle and expense of arranging for 24-hour fire watch services. If you are in need of fire extinguisher services in Vallejo, Pinole, or any other nearby area, call Code Three Fire and Safety. We will provide code-compliant fire extinguisher testing, inspections, and maintenance at very affordable, flat-rate prices. With every on-site fire extinguisher service visit, we arrive on time, professionally dressed, and fully prepared with a service vehicle that is fully stocked with a wide variety of replacement parts and chemicals. We can recharge recently used fire extinguishers, repair any extinguishers that have been damaged, and perform the testing, inspections, and maintenance that are required on an annual basis. We also offer competitively priced six-year teardowns and hydrostatic testing. Call today for a free quote on our Pinole, Vallejo, and nearby city fire extinguisher services. At Code Three Fire and Safety, we serve thousands of satisfied customers throughout Vallejo, Pinole, Suisun City, Fairfield, Vacaville, Napa, Concord, Antioch, and surrounding cities every year. Because our fire protection services are required on a recurring basis, the majority of our business comes from long-standing, returning clients. We're able to maintain a high rate of customer retention primarily because the high quality of our services reflect our 100% commitment to fire prevention and safety. We have some of the most knowledgeable fire protection technicians in the area and provide on-site fire safety training in Vallejo, Pinole, and surrounding cities at no additional cost to our customers. Our fire safety training program educates employees on different classes of fires, how and when to use their fire protection equipment, education on fire prevention, fire extinguisher demonstrations, fire evacuation procedures, and more. 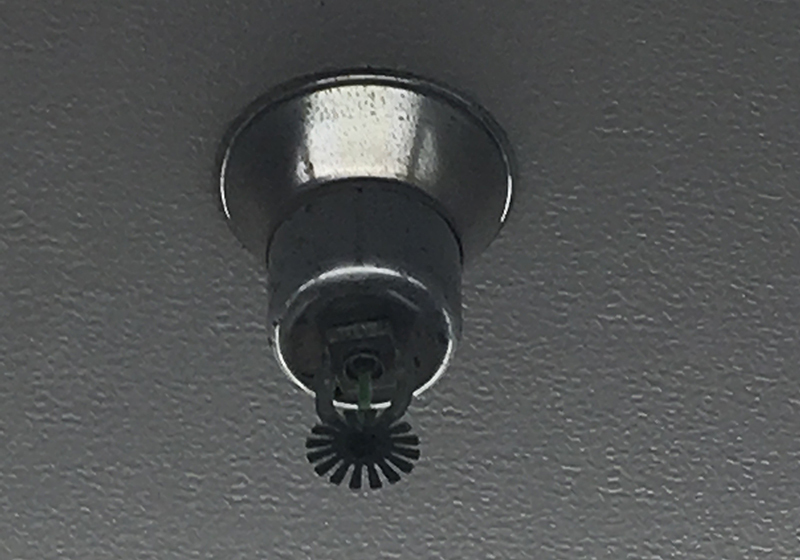 In general, automatic fire sprinkler systems are found in nearly all commercial buildings and multi-family dwellings. Because they are so effective at confining fires, preventing flashovers, and protecting lives, they are now a standard state requirement in all new residential construction. To ensure that these live-saving systems provide the level of fire protection they were designed for, Code Three Fire and Safety provides reliable, thorough, and fully code-compliant fire sprinkler system inspections, testing, and scheduled maintenance (including five-year backflows) in Vallejo, Pinole, and nearby cities at very affordable rates. 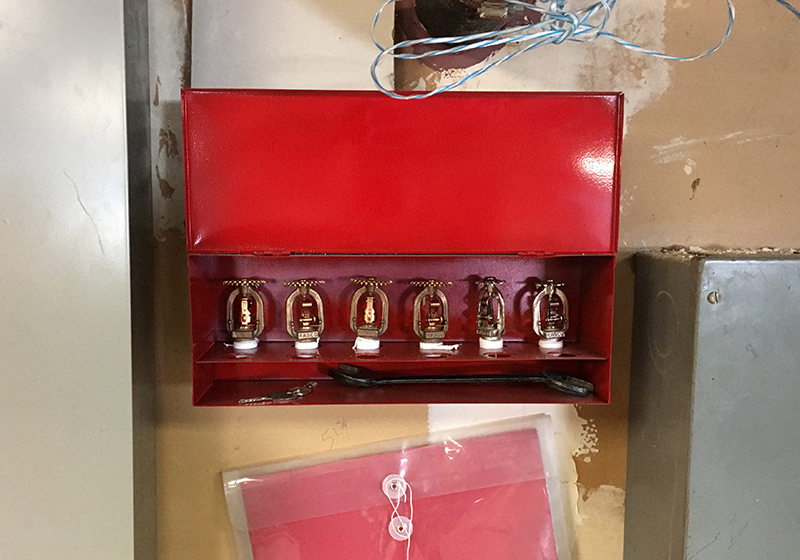 We also offer 24-hour fire sprinkler system recharging following a fire as well as parts replacement and repairs if a fire sprinkler system has been damaged. Call today for the best value in automatic fire sprinkler services in Vallejo, Pinole, and surrounding cities. Hydrostatic testing is required periodically for fire extinguishers. The frequency depends on the type of fire extinguisher and its location. Fire extinguishers that are kept on a vehicle, for example, must be hydrostatic tested once every five years, while fire extinguishers in buildings must be tested once every 12 years. At Code Three Fire and Safety, we provide affordable hydrostatic testing services for fire extinguisher in Vallejo, Pinole, and surrounding areas. Hydrostatic testing is always performed off site at our facility in Fairfield/Suisun City, and we provide loaner extinguishers, while they are out for testing. In California, property owners are responsible for making sure that their privately owned or “off-street” fire hydrants are inspected by a qualified fire protection company annually as well as any time they are discharged. To have your private fire hydrant in Vallejo, Pinole, or any other nearby area inspected, tested, and maintained, call Code Three Fire and Safety. 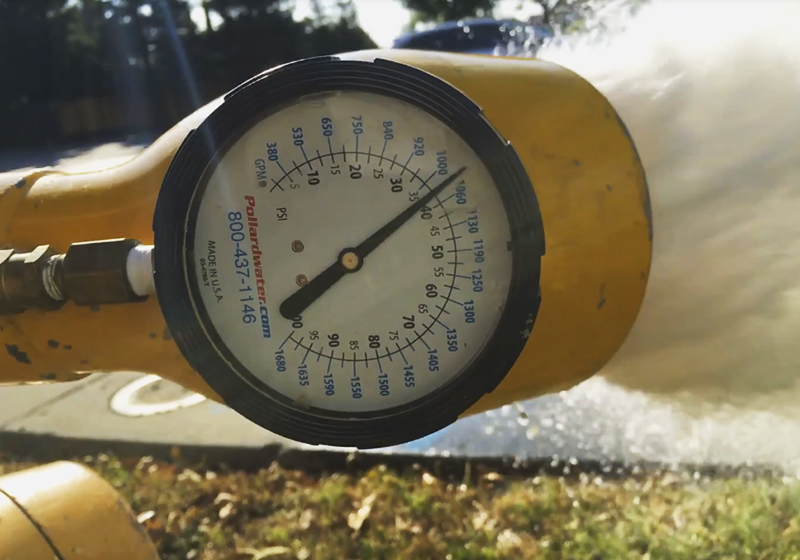 During fire hydrant annual inspections, our trained technicians check that all valves are working, a water supply is connected, and there's sufficient water pressure, ensuring that your hydrant can be relied upon during a fire emergency. Call now to schedule private fire hydrant testing, inspection, and maintenance services in Vallejo, Pinole, or any other area in the North Bay and East Bay region. With a C-16 Fire Protection Engineering license, Code Three Fire and Safety is qualified to design and install restaurant hood fire suppression systems for Vallejo, Pinole, and nearby area restaurants, food trucks, and commercial kitchens, particularly those in hospitals, nursing homes, retirement communities, and other healthcare facilities. We're also able to install spray paint fire suppression systems for auto body shops anywhere in Vallejo, Pinole, and surrounding cities. Fire suppression systems are extremely effective in putting out kitchen fires as well as preventing reflashing, and can usually be activated by a remote manual pull and an automatic fusible link detection system. To ensure that your fire suppression system is properly designed to provide maximum protection in a fire, we recommend an on-site consultation only after the final cooking components and layout are decided. Once we have a personalized design plan configured for your fire suppression system, we will submit it to the local authority for review and wait for the permit. We'll order the necessary supplies when the permit is submitted and begin work as soon as it is approved. Call now to arrange a free on-site consultation for a spray paint or restaurant hood fire suppression system in Vallejo, Pinole, and nearby cities. All fire suppression systems are built to code and backed by a one-year parts and labor warranty. We also modify and replace these systems following a kitchen renovation or upgrade. According to state fire code, restaurant fire suppression system inspections are required on a semi-annual basis. Additionally, every 12 years, the liquid chemical must be replaced and the storage reservoir tank must be hydrotested. Call today to schedule fire suppression system testing, inspection, and maintenance at your Vallejo, Pinole, or surrounding city restaurant. We keep our prices competitive, and gladly provide free fire prevention and safety training and education to your staff when on site. A couple of years ago my boss introduced me to Joyce Oren at Code Three, to facilitate their annual Toy Drive. She has been the driving force behind the Toy . . .
During a fire hydrant testing we attach this water pressure gage to the fire hydrant's nozzle to measure the volume of water that flows from the hydrant. The water volume is measured in gallons per minute and must meet the requirements set by the city code. Our fire protection experts are familiar with local codes throughout Fairfield, Rio Vista, Vallejo, and surrounding cities. We provides comprehensive quarterly, annual, and five-year fire sprinkler system inspections to ensure code compliance and provide optimal fire protection. We also offer emergency sprinkler head replacements and restarts available 24/7.